Here are 10 of the most notable scientific findings in the world of skincare, cosmetic dermatology, and anti-aging that you can use now to look and feel better in the New Year — and beyond! Slop on SPF 30 Every. Single. Day. Wearing sunscreen does prevent the signs of aging, by about 24 per cent. The first long-term study proved what dermatologists have been preaching for years, full story here. Drink coffee if you’re fair skinned. Caffeine intake has been shown in the past to help repair skin damage after a day out in the sun. Now a study published in the European Journal of Nutrition found that among people with a history of skin cancer, drinking about four cups of regular coffee may help prevent the growth of basal cell carcinoma. Study here. Run (a lot) if you have psoriasis. Published in the British Journal of Dermatology, scientists followed 87,000 female nurses for 14 years, and found that those who performed vigorous physical activity (105 minutes of running at a 6-mile-per-hour pace each week) had a 25 to 30 per cent lower risk of psoriasis, compared to the women diagnosed with the skin condition who did not exercise. Study authors theorize that it could be due to the inflammation-reducing effects of exercise paired with time spend outdoors, as exposure to ultraviolet light is a one way that dermatologists treat psoriasis in the clinic. Full story here. Laser off injury scars. Forget scar creams, the best way to treat raised hypertrophic and keloids are with lasers at the dermatology clinic. Published in the official medical journal of the American Society of Plastic Surgeons, scientists reported a 70 per cent success rate on 900 subjects who underwent laser scar treatments every five to six weeks. The best results were seen on those with fair skin types. Full story here. Toronto dermatologistDr. 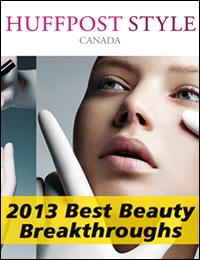 Lisa Kellett, MD., uses an erbium laser at her Toronto clinic to reduce scars. It is a fractionated resurfacing laser that is more modern compared to the ones used in the study, notes Kellett. Dermal fillers are trendy again. This time around, it’s all about the technique: the use of blunt cannulas (flexible needleless tubes) among leading injectors in the aesthetics field isn’t new, but the rise in consumer demand for non-invasive face rejuvenation treatments that deliver immediate and long-term results without downtime is. Nurse injector, Diana Phillips of DLK on Avenue in Toronto, says cannula fits the bill. Compared to traditional needle modalities, she says, blunt cannula allows her to place the filler with great precision in any facial area with fewer entry points into the skin, which translates to less bruising, bleeding, and fabulous results patients can see right away. Phillips frequently uses cannula to soften deeply etched laugh lines and to restore lost volume on the upper face. And because plumper skin reflects more light, this gives off a luminous appearance, notes Phillips. There’s finally a lip filler that lasts. Juvéderm recently launched Volbella, a hyaluronic acid gel developed specifically for the lip enhancement that was shown clinically to last up to one year. 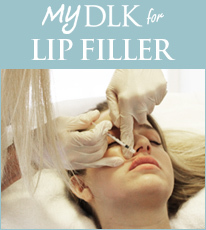 Most lip fillers last up to six months. Phillips has seen great results with Volbella in her patients, saying that it adds an extra sheen to the lips that you don’t get with older fillers. Acne? Cut out milk and sugary foods. It’s not a definitive connection yet but the case for diet affecting acne — a long-debated topic between dermatologists and dietitians — has never been as strong as it is now. A review of 50 years of clinical studies has found that eating foods with a high glycemic index (GI) and drinking milk may both aggravate the severity of acne and, in some cases, trigger it also. The theories: Milk affects acne because of the hormones it contains; High GI foods are absorbed into the bloodstream quickly, causing a spike in hormone levels including insulin, which instigate sebum production. Derms and dietitians will continue to debate and study the connection before evidence-based guidelines can be. Ditch the soda to slim down. Not being overweight remains a key factor for living a long, healthy life. According to NY Times best-selling author John La Puma, M.D. and author of the new book Refuel: A 24 Day Eating Plan to Shed Fat, Boost Testorone and Pump Up Strength and Staminia, one of the most exciting studies of the year was confirmation that the first line of defense against weight gain is to reduce or stop drinking sugary drinks — not to reduce fat. “Eat a low-fat diet” to lose weight and be healthy was the mantra for decades, but it is not the only way, and it is probably not the best way. Good fats are healthy, protect the heart and the brain, and improve blood flow everywhere. Bring on the guacamole! Read study here. Wash your hands like a doctor. Last winter we showed you, in this video here, that the best way to prevent disease is to wash your hands like Dr. Lisa Kellett, who stressed that it’s not the soap that matters, but the friction applied for the right amount of time (20 seconds). Now, anti-bacterial soaps are under scrutiny after more than 40 years of research have led to no evidence of them being any better than simple soaps, in terms of preventing the spread of germs. Full story here. Save your mighty mitochondria. Researchers studying aging have managed to turn back the biological age of two-year-old mice to mice of six months, suggesting that aging may be reversible. The key? Restore communication between the human proteins that affect the mitochondria, the powerhouse of each cell in the body. Lead author, David Sinclair of Harvard Medical School says “The aging process we discover is like a married couple — when they are young, they communicate well, but over time, living in close quarters for many years, communications breaks down.” Read the study here. One easy way to protect the mitochondria is to wear a broad-spectrum sunscreen. According the journal Cosmetic Science Technology, UVA rays, which are present all year round, causes chromophores within the skin to become excited, transferring energy to oxygen and thereby free radicals to from and attack lipids, affecting the mitochondria of the skin cells, causing degradation of the precious collagen and elastin matrix. So the key takeaways from 2013 are: wear more sunscreen, exercise more, eat more healthfully, and visit your dermatologist more often. Here’s to a more radiant and healthier you in 2014!